Randy and Kari function as a team to care for and promote their herd of registered Jersey cattle. They have bred registered Jerseys for more than 30 years. Along with their three children, Randy and Kari have been active in exhibiting their Jerseys at the Fillmore County Fair, the local Parish show, the 4-H show, the FFA show, and the open class show at the Minnesota State Fair and at World Dairy Expo. At the Minnesota State Fair, Randy and Kari have exhibited the Reserve Grand Champion twice and the Honorable Mention Grand Champion three times. In the past seven years, they have either placed 1st or 2nd in the Best Three Females group class. At World Dairy Expo, they’ve had the 2nd Junior 2-year old in 1994; 10th Junior 2-year old in 1999; 8th Junior 3-year old in 2002; 8th spring calf in 2003; 8th Junior 2-year old in 2003; and 6th Junior 3-year old in 2004. 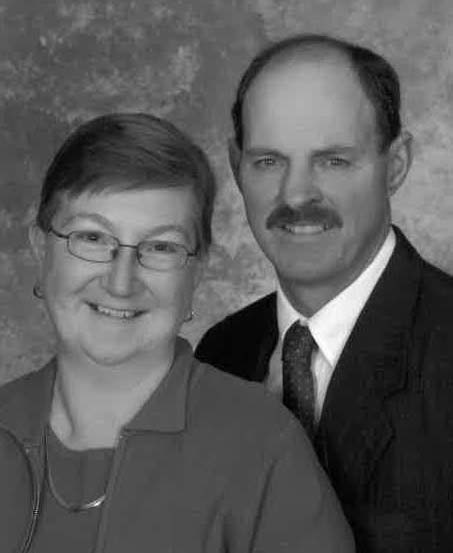 Currently, Randy serves as President of the Minnesota Jersey Cattle Breeders Association (he has been a member of the board of directors for more than 20 years and was Vice President for many years) and Kari serves as the Secretary of the Minnesota Jersey Cattle Breeders Association. They are very active in their Jersey Parish and Kari clerks the Parish show. They were both on the planning committee of the annual American Jersey Cattle Association national meeting in Bloomington, Minnesota. Randy and Kari have supported both state and regional auctions. Their excellent cattle can be found on many farms. Every summer, they open up their herd for many youth teams to practice dairy cattle judging; the University of Minnesota team being one of them. Randy has judged numerous local, district, and state dairy cattle shows, including the Wisconsin State Fair Junior Jersey show.